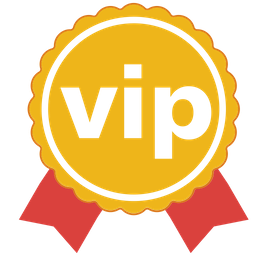 how can I participate in the vip-grinders of partypoker ?? I cant find any info on this VIP-Grinder booster either, anybody got a hint where to look if I can play? ... < Those tourneys are 'now only' for the employees or associates or whatever of that site...! I figure you'll be hard pressed to find the password...! ... < I was playing those form the start, and over time they became less and less lucrative...but still fairly easy to make the $ Loot $....! probably if it's a vip grinders tournament you should be grinding so smoothly and thoroughly that even the slightest piece of bs left evident in it's hard form and not just some brown powder wouldn't give you the green light to enter these tournaments. just keep on grinding fella, with time once you master the skill- the doors will open. You can find it true Facebook... look for vip grinders site en start registering....you have to speak to the facebook operator he can explain you how you get the password the right way. I tried to do that a couple of months ago but the whole thing was written in serb so I had no idea how to get the password. Is it even available to Canadian players? I don't understand why so many players register to it lol... Everybody speaks serbian in europe? When you go to a site and you don't understand the language just ask google translation. It is not a very good translation but it is enough to understand what is in there. I did tried it and it works. On this tournament it isn't so simple to get. Those to whom the password is known don't want to disclose it as there very good prize-winning places turn out. There are even boasters it appears. That tournament is only for the associates, you can not play it if you are not a grinders, something similar to them regarding the partners of bankrollmob, only we can play the free bankrollmob. thats why threads like this should be locked,especially when last post was 8 months ago and there is not benefit from that and its for other poker forum or site!but everybody should learn that BRM isnt site where you will get or share password for any other site!